Your baby is large enough to fill your uterus by this stage of pregnancy and you might be feeling on the heavy side and having trouble sleeping at night. By the end of this stage, baby’s organs are fully grown and he or she is more or less ready for birth. This week your little one is asleep most of the time and may even be dreaming. You could be experiencing leg and foot pain, so try not to be on your feet too much right now. 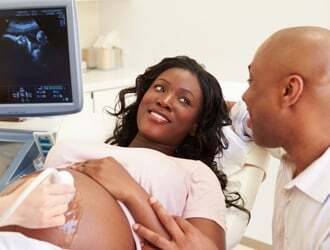 By now, your baby is likely positioned for birth. You may be quite swollen this week. Your little one is large enough to completely fill your uterus. You could be feeling numbness in your pelvic area. This week, your baby is almost done growing. You may very well be increasingly exhausted at this point, but hang in there!